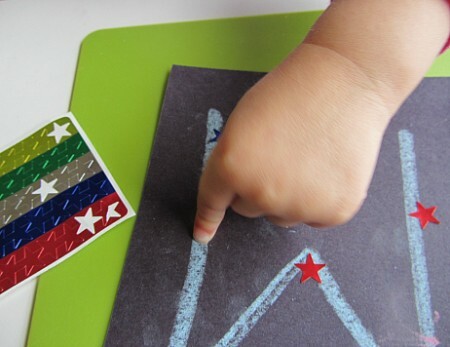 I like to create alphabet crafts with kids because it gives children a chance to make the letters and become familiar with their shapes before they are able to master writing them. One of my main goals with very young children is to let them get comfortable with letters so letters are accessible and not something mystical that only big kids and adults use to read and write. 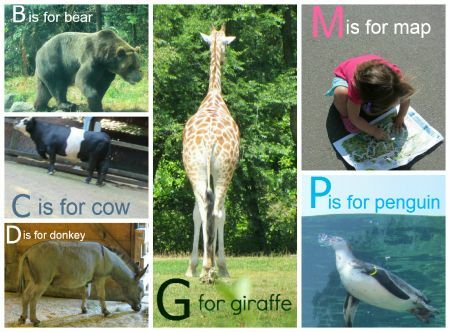 Letters are for everyone and aren’t just part of the alphabet in perfect order. 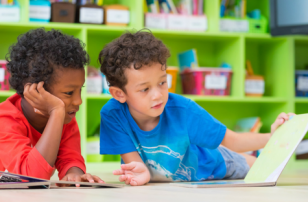 Most children will become familiar with the letters in their names or other significant letters first and even though it’s most useful for kids to learn lowercase many recognize uppercase first because most toys and book targeted at toddlers include them. 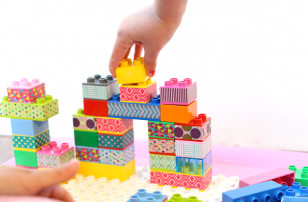 My advice is to use what your child knows and introduce the rest ( upper and lowercase) at the same time through play. 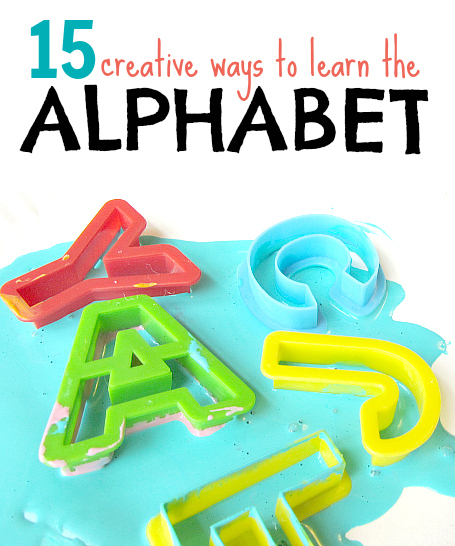 Above all else have fun creating and getting creative while learning the alphabet. 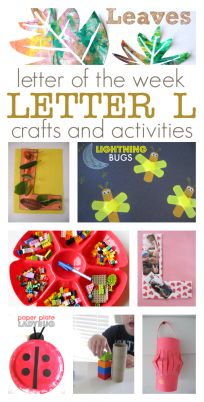 Here are some of our favorite creative alphabet crafts to add a little letter learning into your craft time. 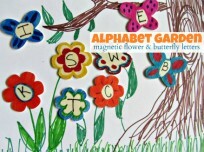 In addition to these 15 alphabet art projects you can also dive into my more than 50 letter of the week crafts. 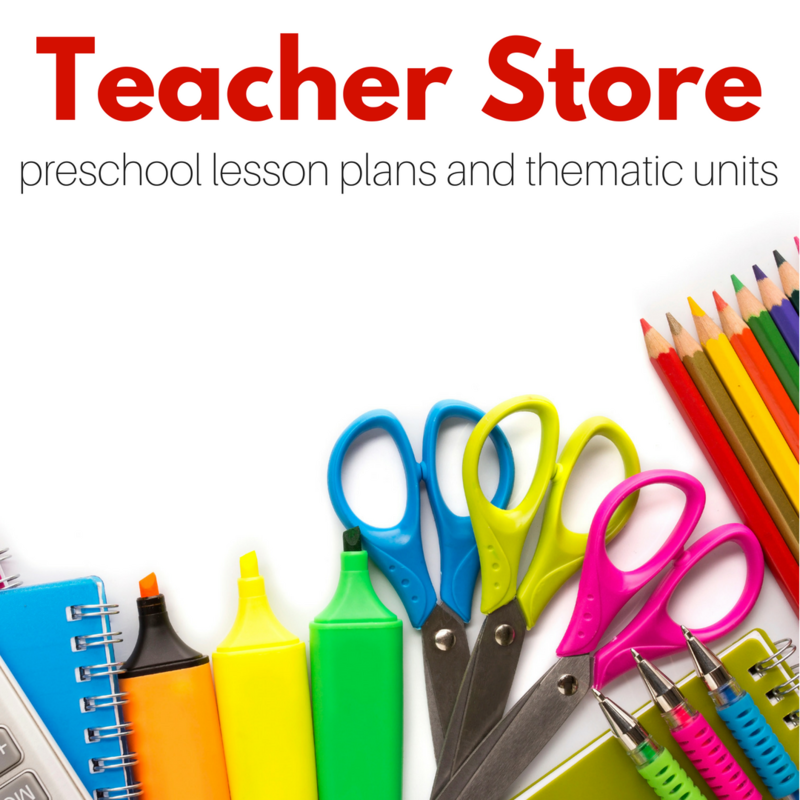 We have uppercase crafts for every letter ( many more than one) and many lowercase letters too. Check out our Letter of The Week page for links to every letter. Your list has some ideas I haven’t come across yet. The constellation and family letter activities caught my eye. I believe in starting with letters they “own” too, it’s so much more exciting for them! 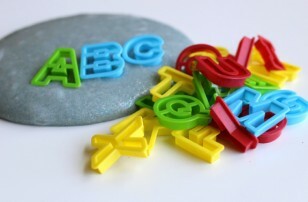 Where did you find those alphabet cookie cutters? Amazon?